Healthy Children > Ages & Stages > Prenatal > Decisions to Make > Should I Breastfeed or Bottlefeed? Should I Breastfeed or Bottlefeed? Before your baby arrives, you’ll want to consider whether you’re going to breastfeed or use formula. The American Academy of Pediatrics advocates breastfeeding as the optimal form of infant feeding. Even though formula feeding is not identical to breastfeeding, formulas do provide appropriate nutrition. 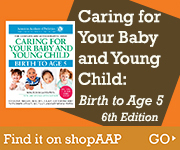 Both approaches are safe and healthy for your baby, and each has its advantages. The most practical benefits of breastfeeding are convenience and cost, but there are some real medical benefits, too. Breastmilk provides your baby with natural antibodies that help her resist some types of infections (including ear, respiratory, and intestinal infections). Breastfed babies also are less likely to suffer from allergies that occasionally occur in babies fed cow’s milk formulas. Breastfed infants also may be less likely to develop asthma and diabetes, or become overweight, than those who are bottle-fed. Mothers who nurse their babies feel there are many emotional rewards. Once the milk supply is established and the baby is nursing well, both mother and child experience a tremendous sense of closeness and comfort, a bond that continues throughout infancy. The first week or two can be challenging for some, but most pediatricians can offer guidance or refer you to a certified lactation consultant for assistance if needed. If there is a medical reason you cannot breastfeed or you choose not to do so, you still can achieve similar feelings of closeness during bottle-feedings. Rocking, cuddling, stroking, and gazing into your baby’s eyes will enhance the experience for both of you, regardless of the milk source. Before making your decision on this issue, be sure you thoroughly understand the advantages and disadvantages of breastfeeding and bottle-feeding, and you are aware of all the options available to you. If you decide upon breastfeeding, there are classes available in many communities to help you plan for breastfeeding and get your questions about it answered. Ask your doctor for a referral.